The erosion of the existing geopolitical order will continue in 2019, planting “bad seeds” that will eventually threaten the entire global order. 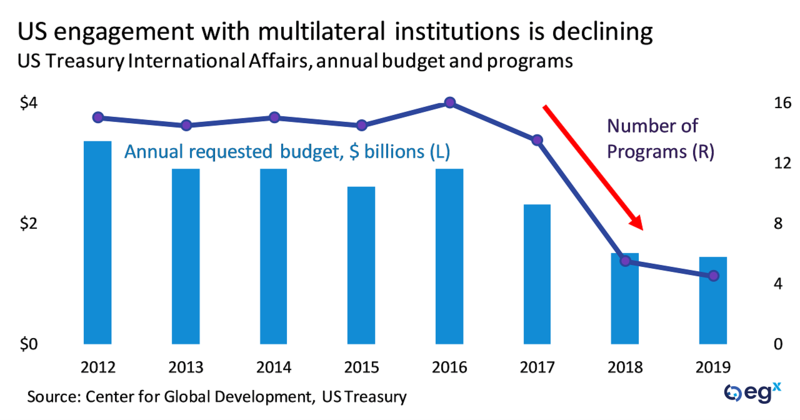 Trends such as a weakening of political and multilateral institutions and the rise of populism won't explore this year but are headed in the wrong direction. Even if the US and China can resolve their trade tensions, structural competition in technology, economy, and security arenas will inflame the relationship. 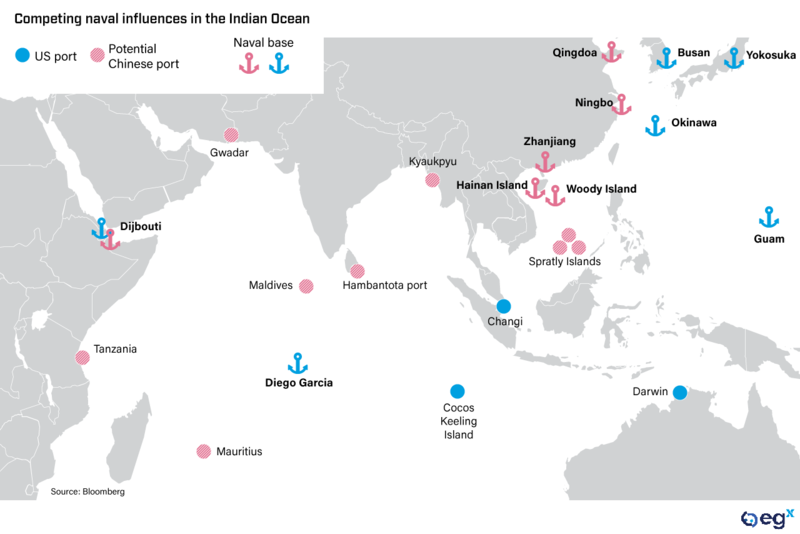 Discord could escalate in 2019, with a greater chance of accidents in areas such as the South China Sea becoming a full-blown foreign policy crisis. In 2019 the US will attempt to project its cyber power in more assertive ways. This show of strength will not only fail to create an effective system of global deterrence, it could also backfire. The presence of non-state actors, unclear attackers, and asymmetry of power will complicate the US strategy and may incite further attacks. 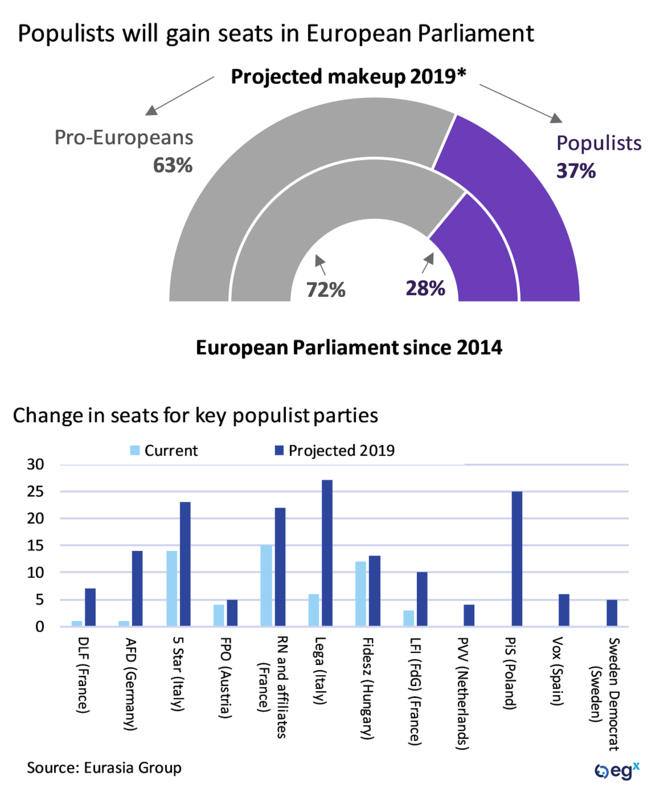 Euroskeptic parties will likely gain an unprecedented amount of influences in the EU parliamentary elections in May. Populists will challenge current European policies on migration, trade and enforcement of EU rules within member states, which will spark internal disagreements and disrupt the EU's ability to react to crises. 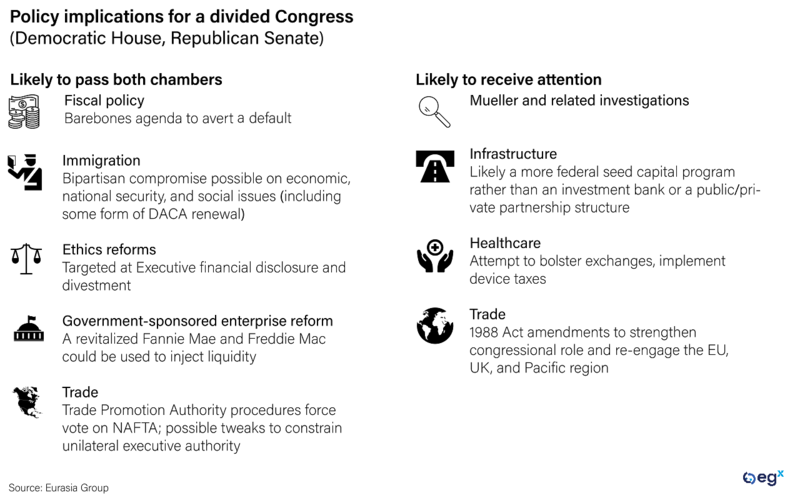 President Donald Trump faces adversarial congressional oversight for the first time in 2019. Although the likelihood of impeachment is low, legal action against his business or family will risk constitutional crises. The market impact is difficult to predict, but a crisis could lead to months of volatility. 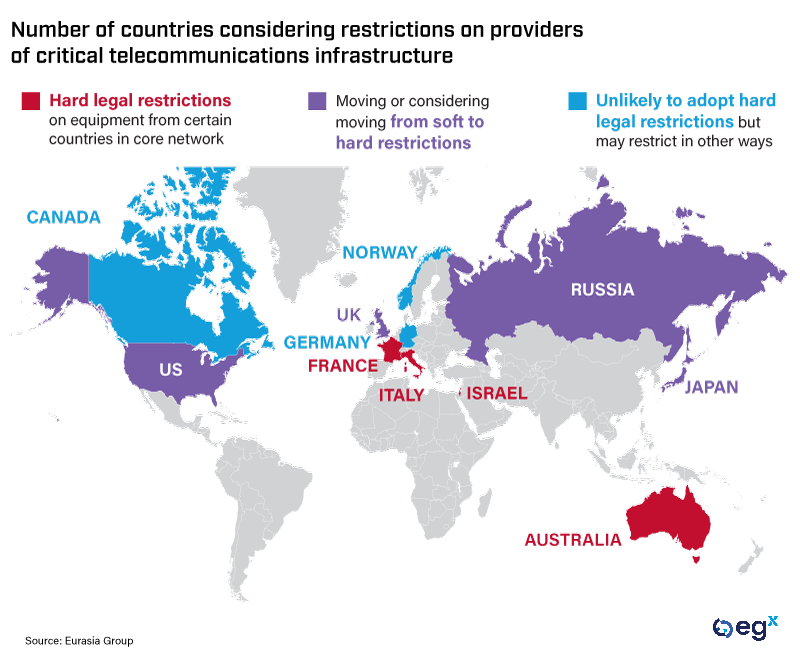 Growing concerns over security, privacy, and economic issues are driving governments around the world to put up barriers to cooperation and foreign trade. These barriers will disrupt global innovation at a critical time for next-generation technologies such as 5G networks. President Andres Manuel Lopez Obrador begins his term with a degree of control not seen in Mexico since the early 1990s. This year he will focus on launching his ambitious social and infrastructure program at the expense of Mexico's fiscal position. Policy in general will become less predictable and more interventionist under his administration. Tensions between Russia and Ukraine will intensify around the latter country's presidential and parliamentary vote in 2019. 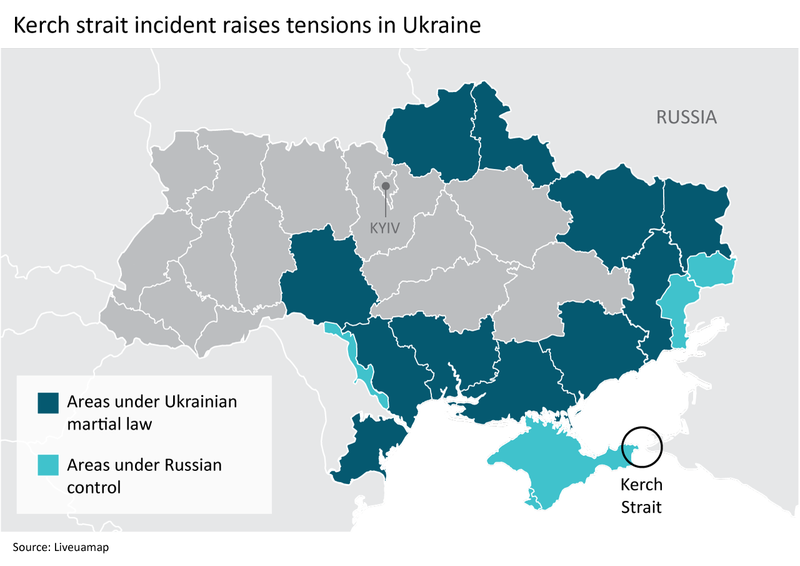 Neither government will back down from its position on access to the Sea of Azov and the Kerch Strait, likely prompting additional incidents. A major spike in fighting is unlikely but serious flare-ups are possible. Nigeria will face its most fiercely contested election since the transition to democracy in 1999. A victory for President Muhammadu Buhari will mean little progress on critical policies such as tax or energy sector reform. A win for the challenger, Atiku Abubakar, will create a brief, superficial boost to the country's image before returning to an even more rent-seeking governance. Even worse, an election result that is too close to call could trigger a political crisis and create severe uncertainty.